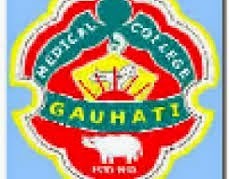 Department of Pathology, Gauhati Medical College. Applications are invited from eligible candidates for the following temporary post in a one year I C M R sponsored project in the Department of Pathology titled “UTILITY OF P16 INK4a, Ki 67 & LICAPSID PROTEIN AS BIOMARKERS OF CIN & CERVICAL CANCER”. Educational Qualification- Lab. Technician certificate course or above/equivalent from any Medical Colleges of Assam/recognized institute of Govt. of Assam. How to apply: Application on plain Paper with complete bio-data stating all educational qualifications and experience along with relevant documents should reach the following address on or before 8th April ‘2015 in the Department of Pathology, Gauhati Medical College & Hospital, Guwahati-32. Advanced copy of CV may be sent though email address ushajunu@gmail short listed candidates will be called for walk in interview to GMCH, Time, Date & venue of interview will be informed by phone/email. The applications received after the closing date will not be considered and no correspondence will be entertained, No TA/DA will be paid to the candidates for attending the interview.